Back row, from left: West Covina City Councilmember James Toma, Amy Watanabe, Carole Yamakoshi, Sharon Kumagai, Ken Ota, Keith Kawamoto. Front row, from left: JACL National President Gary Mayeda, James Yamamoto, Jean Shigematsu, John Saito, Jr. The Venice-West Los Angeles JACL chapter celebrated the official merger of the Venice-Culver and West Los Angeles chapters, which was two years in the making, and installed the 2017 board officers on Dec. 11 at the Venice Japanese Community Center. The board officers are: John Saito Jr. (president), Amy Watanabe (vice president and membership chair), Carole Yamakoshi (secretary), Kenneth Ota (treasurer), Keith Kawamoto, Sharon Kumagai, Jean Shigematsu, Sam Shimoguchi and James Yamamoto. Members-at-large: Steffi Fukunaga (scholarship co-chair), Steven Sharp, Kuni Shimoguchi, Marisa Tamaru (scholarship co-chair), Sandy Toshiyuki and Ken Weisgerber (UCLA Nikkei Student Union representative). JACL National President Gary Mayeda installed the officers and gave an update on the organization’s activities. The keynote speaker, Councilmember James Toma of West Covina, spoke on his personal journey to a career in public service and politics, and the role Japanese Americans and JACL have in the current political climate. Toma’s mother is from Okinawa and his father is a Sansei from Hawaii, and he grew up in numerous cities throughout his childhood, graduated from high school in Stockton, and became the first college graduate in his family with a degree from Yale, and later earned a master’s degree at UC Berkeley. Toma previously served as mayor of West Covina has been a member of JACL for 20 years. Entertainment was provided by former Nisei Week Princess Veronica Toyomi Ota, who sang Christmas songs and the early ’60s hit “Ue o Muite Arukou” (known in the U.S. as “Sukiyaki”). She was accompanied by her father, Ron Ota. On March 7, 1936, seven years after the National JACL was founded, the JACL formed its first chapter in the West Los Angeles area, called the Bay District JACL. The chapter encompassed the Santa Monica, Venice and West L.A. communities. In 1941, Joe Masaoka, George Inagaki and Henry Fukuhara met to develop a restructuring plan in an effort to grow and strengthen the JACL in the west area of Los Angeles. The tri-city Bay District chapter was dissolved to form three new chapters to better serve each community. Tom Ikuta became West L.A. Chapter’s first president, Henry Fukuhara headed the one in Santa Monica, and John Aono became president of the Venice-Culver chapter. By the end of the year, World War II erupted, leading to the incarceration of all Japanese Americans on the West Coast. In 1945, many of the incarcerees returned to their former homes. About this time, the National JACL had launched its legislative program through its Anti-Discrimination Committee to gain citizenship for the Issei and remuneration for evacuation losses. Recognizing that such an ambitious program required full support of all Japanese Americans, local Issei leaders, including Isuke Sakamoto and Kuichiro Nishi, and community-minded Nisei such as Sho Komai, Elmer Uchida, George Sakamoto, Richard Jeniye and James Kitsuse met to reactivate the West L.A. Chapter. As a result of this meeting, the chapter was officially reactivated on Nov. 28, 1947 with Komai as its first postwar president. Today, Venice-Culver and West L.A. join together to continue to build on the legacy of their predecessors. 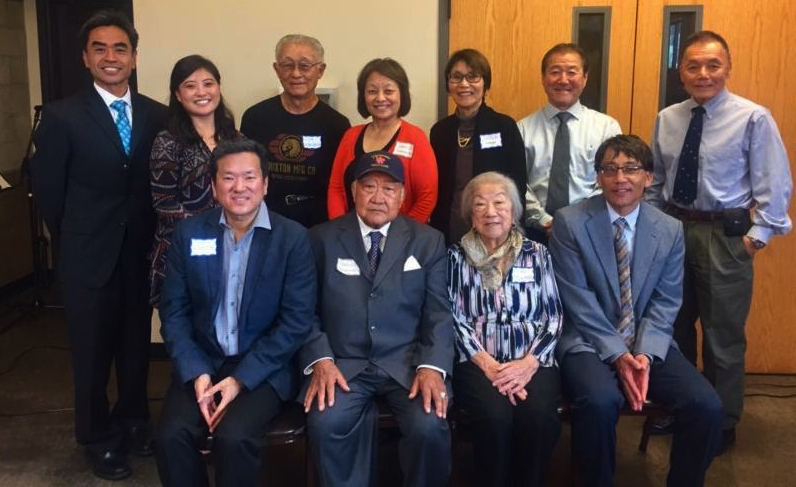 The Venice-West L.A. JACL will continue to support the JACL mission to secure and maintain the civil rights of Americans of Japanese ancestry and all others, and promote and preserve the cultural values, heritage and legacy of the Japanese American community. As a newly merged chapter, the Venice-West L.A. JACL will continue to serve the Westside community through its scholarship programs and participating in West Los Angeles Buddhist Temple’s Obon Festival and events of the Venice Japanese Community Center.